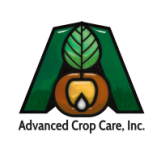 Advanced Crop Care, Inc., a quality independent agronomic consulting and soil sampling company, is interested in hard working, dedicated individuals, that have majored in Agronomy, Soils, Plant Pathology, Entomology, Ag Economics and related agricultural fields for full time employment. Description: To maintain and grow an established crop consulting and custom soil management business in Northern Illinois. Employee will be expected to perform seasonal tasks such as GPS soil testing, weekly crop scouting, and attend seminars not only for continued education, but also professional networking opportunities. Qualifications: Must have a 4 year B.S. Degree and must be willing to work towards becoming a Certified Crop Adviser for the State of Illinois.